Performers include: Diane Sawyer, Chris Wallace, Jay Schadler, Chris Cuomo, Sam Donaldson, Charles Gibson, Cynthia McFadden, David Muir, and John Quinones. An ABC newsmagazine that began with anchors Sam Donaldson and Diane Sawyer awkwardly chatting and introducing featured news stories in front of a live studio audience. Those features were soon dumped and the series shifted to become a more traditional news program, featuring newsmaker interviews and short documentaries based on current political and social issues. 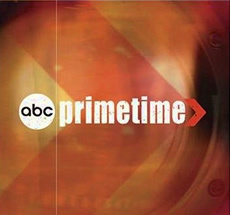 The TV show was originally named Primetime Live.